With so many organic options to eat, it may be easy to forget that wonderful wines can be just as sustainably produced as the food on our plates. 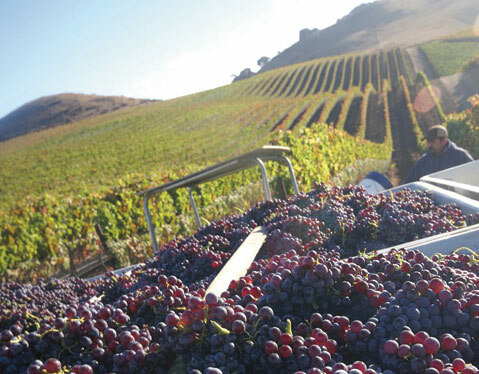 Fortunately, Santa Barbara County boasts a growing number of wineries that have adopted one of many sustainably certified options. These varying criteria can cause confusion for wine enthusiasts, so here’s a review of three of the more common certification programs, along with insight from producers who are pursuing improved sustainability in winemaking for Earth Day and every day. ORGANIC: Wines adhering to the U.S. Department of Agriculture’s organic standards must be produced without the use of most synthetic chemical products, from herbicides and pesticides to artificial fertilizers. Solminer Wine’s diminutive three-acre, organically certified vineyard in Los Olivos primarily produces syrah, along with the Austrian varieties grüner veltliner and blaufränkisch. Owner/winemaker David deLaski recommends his light-bodied 2012 “Full Moon” Syrah. “It’s the perfect spring syrah for barbecue, with bright berry fruit notes and lower alcohol,” he said.